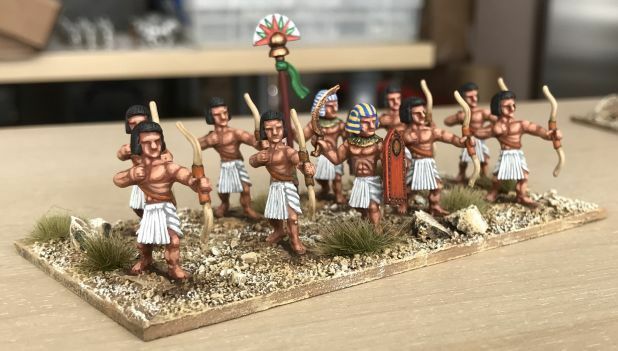 These figures are most suited for late Middle and New Kingdom Egyptian armies. Egyptians painted and photographed by Roy Lowson. Picture used with permission and thanks. The pictures below are of fresh castings, not cleaned up.